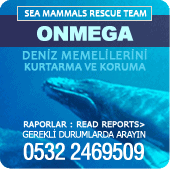 Many thanks for your interest in a dolphin therapy at our therapy center in Marmaris. You will find an overview of our information below. Our therapy center under German management offers you our proven direct-contact dolphin therapy in combination with classic therapies, such as physio- or occupational therapy. Our holistic approach, in accordance with the latest scientific knowledge and with the inclusion of the entire family, allows our patients with mental, physical and psychic limitations to achieve progress in their development. Our Dolphin Center is located directly at the seaside promenade, just a few hundred meters from the hotels. A separate open water pool with three therapy-experienced dolphins is reserved for the exclusive, undisturbed dolphin therapy usage. The wellbeing of our patients as well as our dolphins is a high priority for us. We would love an opportunity to greet you at Marmaris! We also invite you to read the numerous testimonials from our families and patients. We would be happy to send you further information by email. Just fill in the following form.